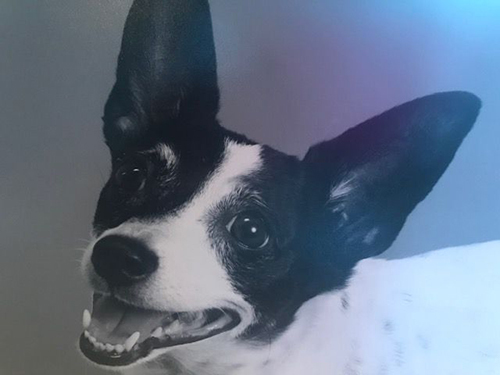 LIPTAK, Daphne Bernadette 133, passed peacefully December 1, 2018. After being diagnosed as awesome, Daphne Bernadette grew to be a successful service dog for conversion seizure detection and dedicated family member with a strong sense of security and exquisite good taste in everything she did. Daphne stayed positive throughout her life to complete her duties and keep up with her active lifestyle. Daphne was one in a litter of three of Jack Russell Terriers born June 6, 2000. She has seen the family through many milestones. Daphne’s retirement activities included tennis ball collecting, walks in the neighborhood and volunteer security work to protect the estate against birds, Gila monsters, snakes and quail. She co-founded a conservation for endangered wildlife with the help of Arizona Game and Fish for pygmy owls and the Mexican Black Tailed Prairie dog. Daphne is survived by her daughter, Daphne Bernadette the Sequel, Grandson Barfolamew “Barfo” Cleveland, owner and handler Kathryn, Uncle and Grandparents. We invite you to share condolences for Daphne Bernadette in our Guest Book. Such a touching tribute for an awesome pup! Hugs to her family. I’m so sorry to hear if Daphne’s passing. I’m glad I had the pleasure of knowing her in her early years. I know she was well loved and taken care of. May she Rest In Peace. You were all blessed to have her! Condolences!